A kidney biopsy is the removal of a sample of kidney tissue for diagnostic purposes or to assess the function of a transplanted kidney. If you are scheduled to have a kidney biopsy, you may be wondering what you can do to prepare for the procedure. 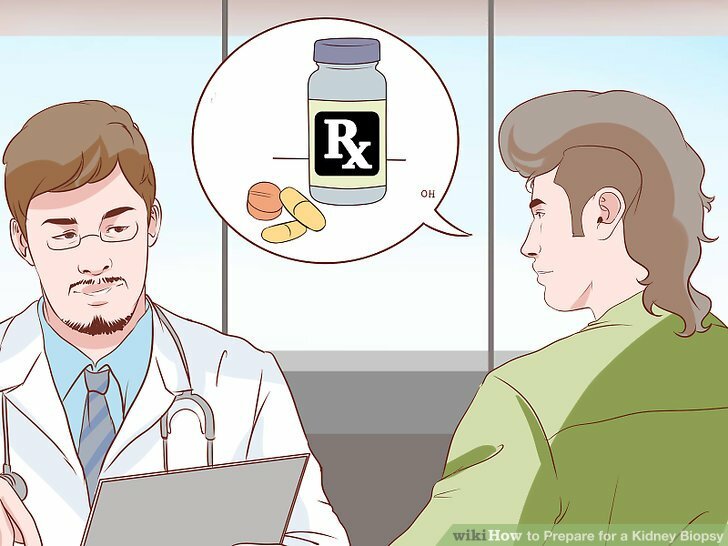 Make sure that you talk with your doctor about your medical history and all current drugs that you are taking. Inform your doctor if you have any bleeding problems. For example, do you bleed profusely from a small cut? 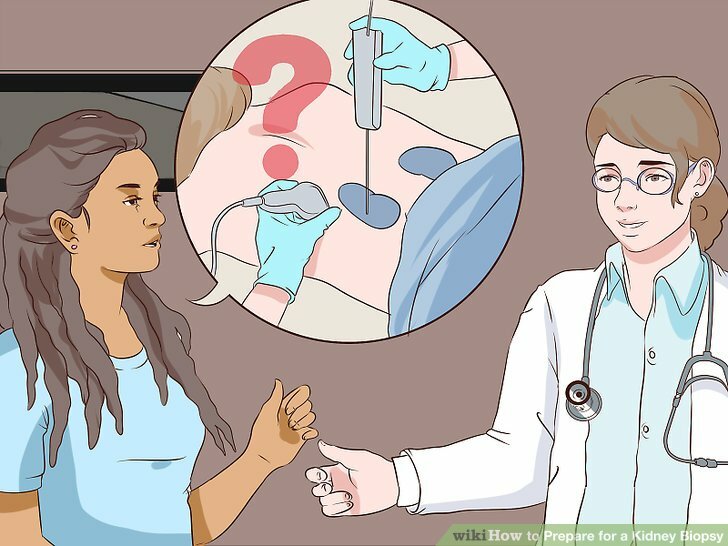 You may need to confirm that you do not have a bleeding disorder by having some laboratory tests (PT, PTT, INR) done to determine your bleeding time and clotting time. This will ensure that your kidney does not bleed unusually during the procedure. The kidney is a highly vascular organ and is at risk of bleeding from minor injury. Bleeding disorders can increase the risks associated with the biopsy. Common bleeding disorders include hemophilia A and B, which are disorders in factor VIII and IX, respectively. Tell your doctor about all medications and herbal supplements that you are taking. Blood thinning drugs such as warfarin which you should stop taking 7 to 10 days before the biopsy. Drugs that prevent blood clot formation, such as aspirin and other over the counter pain medications (ex. Ibuprofen, Advil, Motrin). Herbal supplements like ginkgo, garlic and fish oil because they can cause blood thinning. 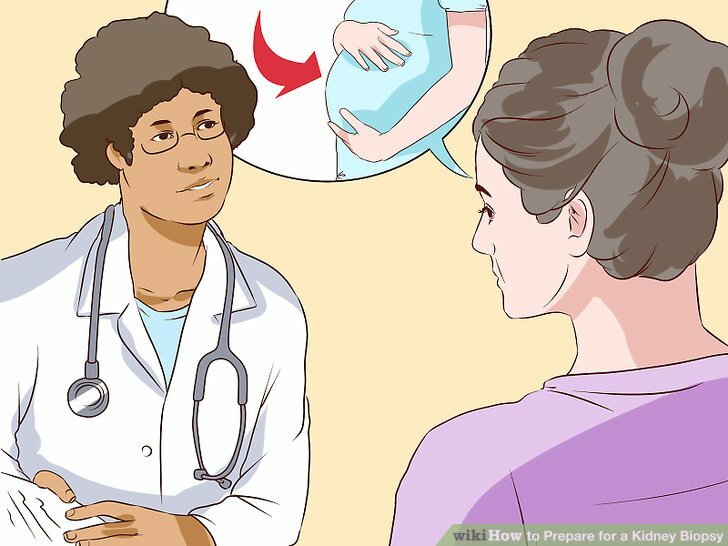 Inform your doctor if you are pregnant. Pregnant women have high blood pressure that increases the risk of bleeding after the procedure. Additionally, pregnancy itself alters kidney structures and makes it difficult to properly diagnose diseases through a biopsy. 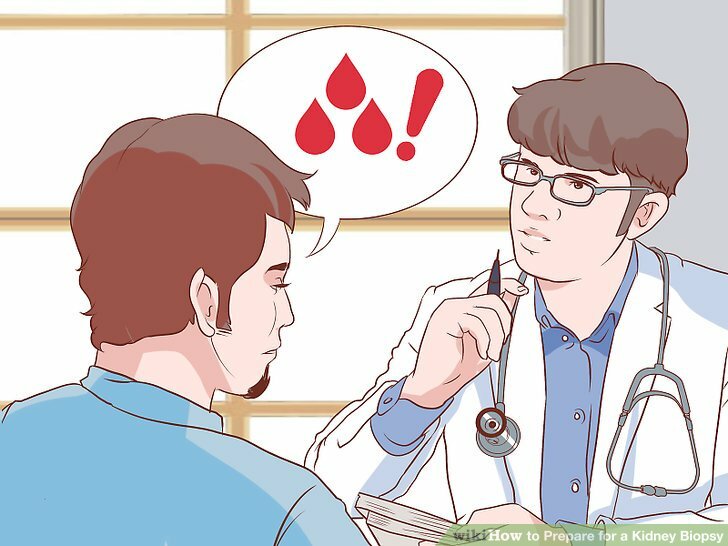 Before the biopsy your doctor may ask you to arrange one or two units of cross matched blood as a precautionary measure. Your doctor may also ask you to defer the procedure until after delivery. After delivery the effect of pregnancy on your kidney structure will wane and the actual problem will be revealed. Prepare information to give to your anesthesiologist. 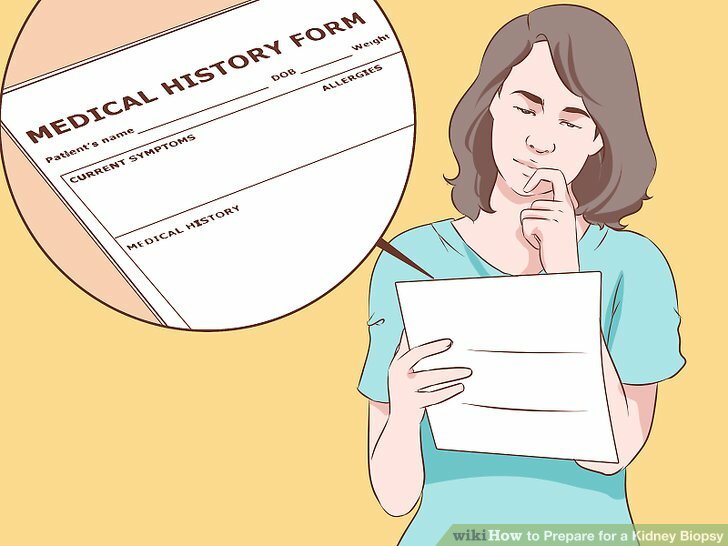 Family history: The anesthesiologist will need to know if you, or anyone in your immediate family, has had any problems with anesthesia in the past. This helps the anesthesiologist order the correct medicine to use during the procedure. Allergies and reactions to medications: Tell the anesthesiologist about any allergies you have or reactions to medications you’ve had in the past. Medical history: Make sure to tell the anesthesiologist if you have a history of bleeding or if you are on blood thinners, known as anticoagulants such as Coumadin or Aspirin. Other medications that cause bleeding are Non-Steroidal Anti-inflammatory Drugs (NSAID) such as Advil, Ibuprofen, Motrin and others. You’ll be asked to stop these medications a few days before surgery. Ask your doctor about what to expect during and after the procedure. In order to make sure that you are fully prepared for the procedure it is best to have a clear understanding of what a kidney biopsy entails, any risks associated with the biopsy, what the potential results could mean, and how long the recovery will take. Make sure you don’t have an infection. Examine the skin of your abdomen and back– they should be free from infection. If you do have a skin infection, the needle used for the procedure may carry microorganisms inside the body and your kidney may get infected this way. Common signs of skin infection are redness, itching, pain, and discharge of pus. An open wound is likely to get infected. You may also need to provide a blood or urine sample to detect if you have an infection. Your doctor will inform you about the whole procedure, along with the risks and benefits of the biopsy. 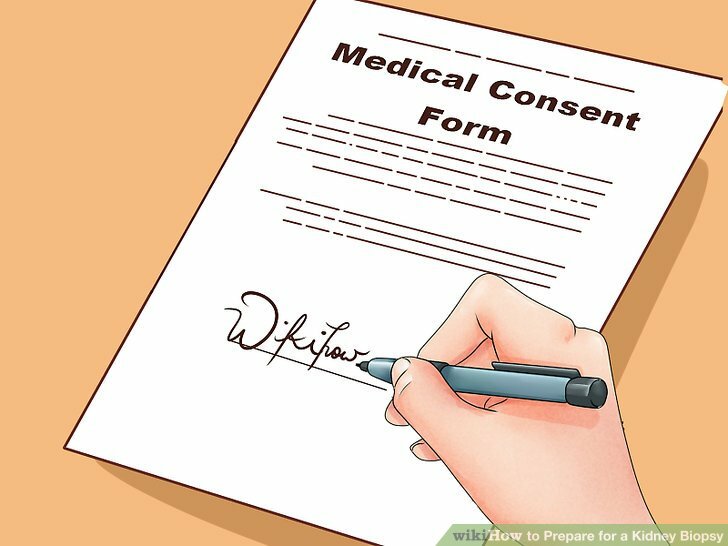 Then you will need to sign the consent form just like with any surgery. Consent is usually required due to the risk of bleeding and infection, or due to the risk for disability or death. Make sure that you understand all risks associated with the procedure before signing the consent form. Clean and shave the operative area. You need to shave any hair on your back and abdomen. Doing this will make the procedure easier for the surgeon. A clean surface will provide a good view of the target area and will reduce the risk of infection. 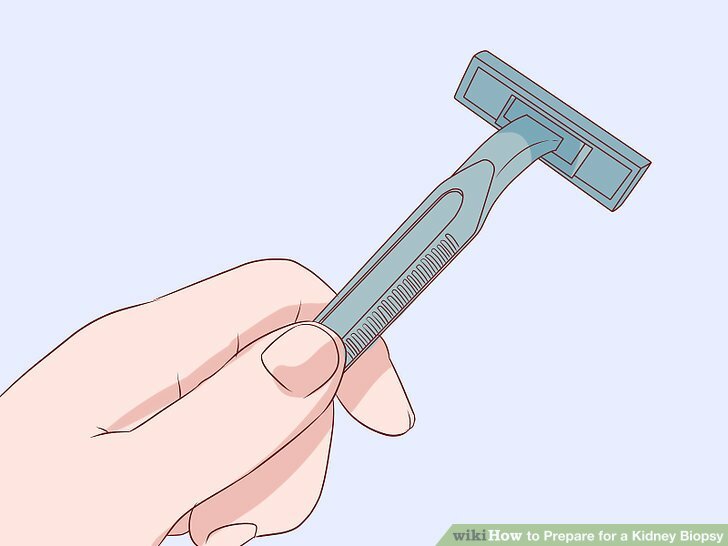 Take a shower and wash the area thoroughly with soap after you shave. You will want to be as germ free as possible. 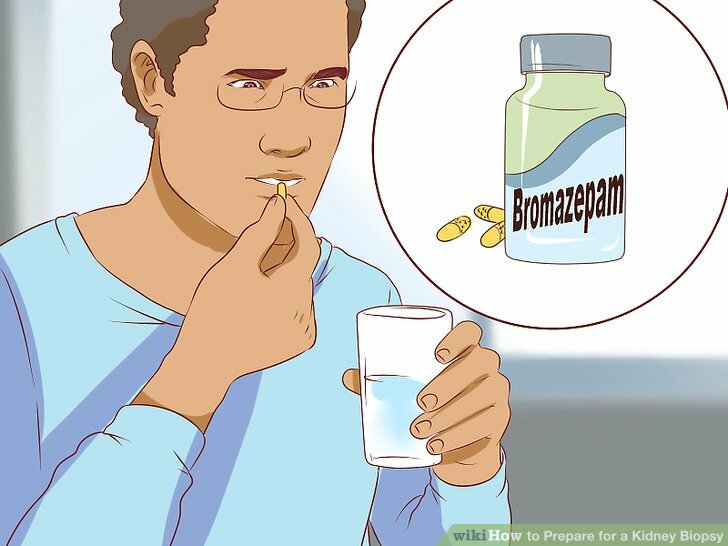 Take an anxiolytic drug as prescribed by the doctor. Cleansing, deep breaths may help you to relax if you’re feeling anxious. Slowly breathe in through your nose and hold for two seconds, then release your breath slowly out of your mouth. Repeat five times. Perform this breathing technique before you go to bed and on the morning of the procedure. Doing some deep breathing will stimulate your parasympathetic nervous system and help you to relax. Meditation is also a way to relieve anxiety. Close your eyes and picture yourself in a peaceful place. Focus for a few minutes and concentrate on slowing your breathing down. 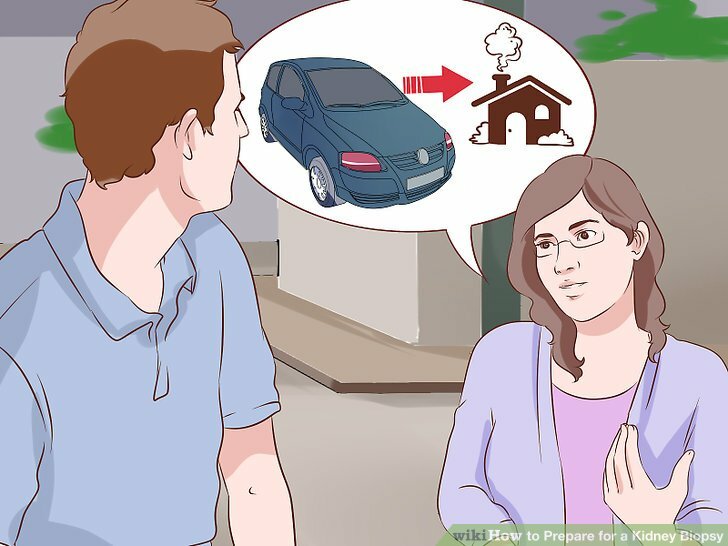 This can be done the night before and in the morning before you leave your home. You’ll most likely be put on NPO status, which is the medical term for “nothing by mouth” the night before the procedure. It’s important for your stomach to be empty to prevent aspiration during the procedure. Aspiration happens when stomach content enters the respiratory tract causing problems such as pneumonia. 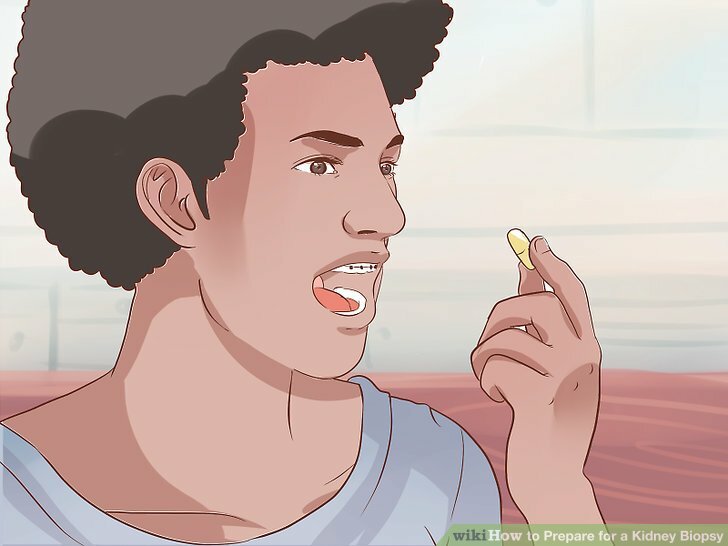 Take any medication if needed. Because you are not allowed to eat anything the morning before the procedure, take sips of water with your medication. This will help make the pills go down easier. 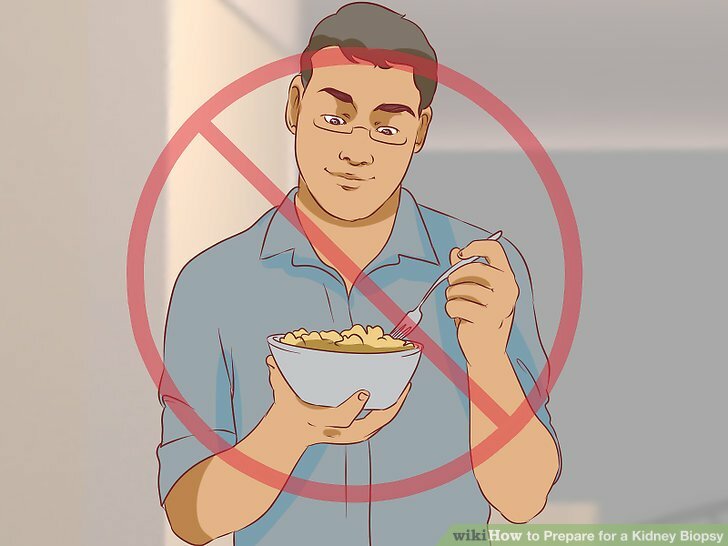 Do not eat food of any kind the morning before your procedure. 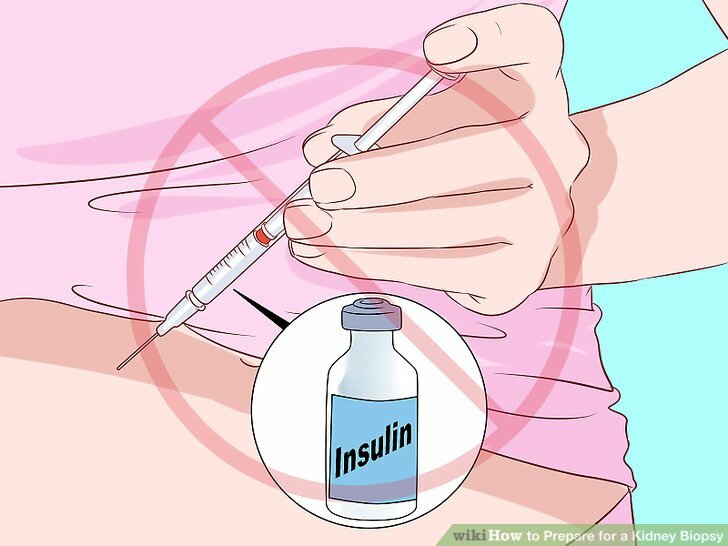 Do not take insulin in the morning if you are an insulin user. Taking insulin may reduce your blood sugar level too much, making the biopsy difficult. Instead, you will be given short acting insulin with a saline infusion to keep your sugar level optimum. After your kidney biopsy, you will be able to return home that day. However, you may remain drowsy throughout the day because of the anesthetic and any sedative drug you may have received. Because of this, you will need to arrange for someone to drive you home, as driving yourself could be dangerous.